Fixed "Fur" Life was formed in January 2004. FFL is a charitable organization. Yes we can issue Tax receipts for all donations. 100% of all donations are used for veterinary expenses. Veterinary expenses are defined as Spaying-Neutering-Vaccinations-Medical emergencies. 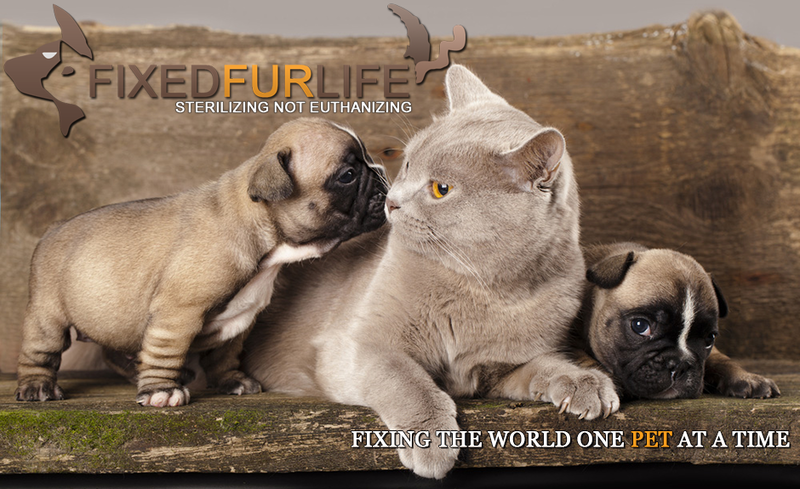 Fixed Fur Life provides subsidies to low income families to spay and neuter their pets. We do not euthanize any of our animals to make room for others coming in. The homeless animals that come our way stay with us until they are adopted. There is no time limit to how long this may be. ALL of our cats and dogs are Spayed and Neutered prior to adoption. Individuals who adopt our Kittens who are too young to be fixed at the time of adoption Pre pay the Spay Neuter fee. We have had a 100% success rate with this. Many other organizations adopt out un altered cats and dogs and these cats and dogs go on to have multiple litters adding to the over population problem. We believe our commitment has made a huge difference. Food and litter have been generously donated by organizations such as the Belleville Walmart, Trenton Pet Valu, Little Stinkers and many wonderful individuals in the community. What hasn’t been donated is paid for out of pocket by one of our board members. We do not have a shelter but rather operate with a network of foster homes. This has allowed for each animal coming our way to be provided with the care they need and has allowed us to have a healthy population to date. All of our promotional materials, printing and advertising expenses have been generously donated at zero expense to FFL. We do not receive any government funding. All of what we have accomplished to date has been through the dedication of many volunteers. We do not pay a professional fundraiser to do this for us. It is all strictly volunteer. We do not pay staff to take care of our animals. Our foster homes are wonderful people who absorb all costs as their way of giving back to the animals. These wonderful people pay for all aspects of their care until homes are found. We use all of the Veterinarians in the Quinte Area. Without their support and discounts we could not take care of as many animals as we have.